Unfortunately, trauma, cancer, infection or even some congenital conditions may put someone at risk for losing an arm or leg. At Panorama Orthopedics & Spine Center, we take this seriously and provide every option available to avoid amputation and improve function. We are committed to providing our patients the newest reconstructive procedures and the best medical advancements to save limbs, whenever possible. Dr. Jeremy Kinder and Dr Ron Hugate are a team specially trained in limb preservation. 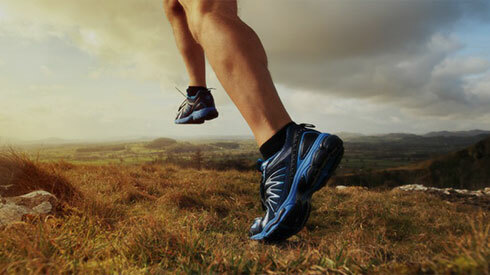 Dr. Kinder trained at Rush Medical Center in Chicago, IL and is specialized in reconstructive orthopedic surgery. This special training allows him to tackle the toughest cases. Both Dr Kinder and Dr Hugate often take referrals from other orthopedic surgeons across the state and region for patients who need the highest level of orthopedic care. Dr Hugate is specially trained in orthopedic oncology and he treats both children and adults with limb threatening conditions. 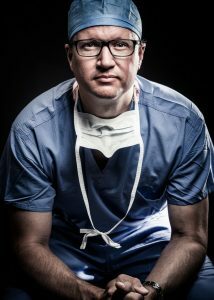 Through his training at the Mayo Clinic and subsequent years of experience, he has developed an expertise in limb-sparing reconstructive techniques. He has worked extensively with bone, muscle, and joint tumors of all types and treats every patient with surgical skill and compassion. Having been an Army surgeon for 16 years (with deployments to Iraq and Afghanistan to work at combat hospitals there), Dr. Hugate also has extensive experience working with traumatic injuries and traumatic amputations. When limb amputation is necessary, both Dr Hugate and Dr Kinder offer the most advanced surgical options for improving an amputee’s function and optimizing prosthetic use and rehabilitation. They consult with patients about all the available alternatives to find the best possible solution to help them continue to lead full and active lives. 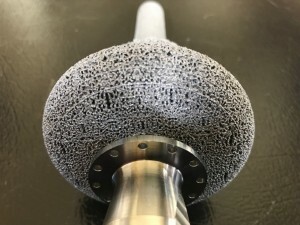 Osseous Integration (OI) is an exciting new evolving technology used to treat amputees in which metallic implants are connected directly into the bone and then come out through the skin to attach to an external prosthetic directly. Traditionally, amputee’s residual limbs are molded to a socket. 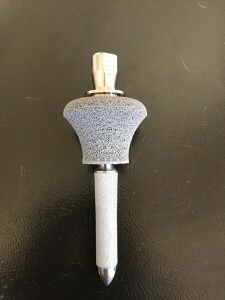 The socket is then connected to an external prosthetic. The socket fits around the residual leg and provides a soft attachment point for the leg. This is an acceptable solution from a pain and function standpoint for most amputees. For some, however, use of traditional socket technology is not effective. Issues can include: perspiration (causing sockets to fall off), pressure sores, pain, lack of ability to “feel” the ground as one walks, and having to expend a lot of energy to simply achieve every day tasks. The purpose of OI is to improve pain, function, and energy efficiency for amputees. This technology was first introduced in Europe in the 1990’s and has been used in dental implants as well. The difficulty with this technology has always been the risk for infection. Those who receive OI implants typically have a chronic draining sinus that forms around the skin interface and it is through this sinus that infection can ascend into the bone. If the infection is severe enough, it can loosen the implant from the bone and cause failure. Dr. Hugate’s interest in this technology started in 2003 when he was deployed as an army surgeon to Baghdad, Iraq and cared for many service members who had suffered traumatic amputations. Upon his return the U.S., while a Fellow at the Mayo Clinic, he began researching a new genre of implant materials termed “highly porous” materials in which skin and soft tissues could actually grow into and seal off implants. Over the last decade, Dr. Hugate has developed an OI implant that utilizes porous metal technology to help “seal off” the implant and reduce the risk of infection. This technology is still in the early stages of development but has shown promising early results. Although Dr. Hugate believes that OI will eventually become the standard of care for amputees worldwide, he is only considering a very select group of patients to receive this technology at this time. 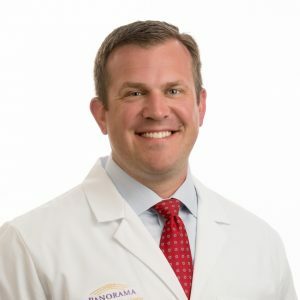 Just before Dr. Hugate joined Panorama Orthopedics & Spine Center, he developed and implanted the first Osseous Integration device in the United States using porous metal technology. One of his patients, Jace Badia, was a veteran from the Iraq war who lost his leg in a traumatic amputation, due to a roadside bomb. Today, he has a new leg and a new lease on life, thanks to Dr Hugate and the cutting-edge technology that he helped to design and develop. Dr. Hugate now brings his skill and advanced technology to Panorama Orthopedics & Spine Center.